Producers Nick Wechsler, Steve and Paula Mae Schwartz have used their own money to acquire screen rights to "The Host," the first adult novel written by Stephenie Meyer, author of the "Twilight" series. Meyer's novel is a love story set in the near future on Earth, which has been assimilated by an alien species of benevolent parasites that call themselves "Souls." One such soul, the Wanderer, is fused with a dying human named Melanie Stryder, in an attempt to locate the last pocket of surviving humans on Earth. Wechsler and the Schwartzes are separately teamed on "The Road," the John Hillcoat-directed adaptation of the Cormac McCarthy novel that will be released Nov. 25 by the Weinstein Co. They are also producing the Paul Schrader-scripted "The Dying of the Light" and an adaptation of Pete Takada book "An Eye at the Top of the World," which Ryne Douglas Pearson is adapting. In addition to writing four volumes of the "Twilight" series, Meyer has been heavily involved in the screen transfers, and she spurned several overtures for "The Host." The producers continued lobbying the author and her UTA reps with a significant offer, a strong vision for the project and a collaborative spirit. Meyer eventually said yes. In fact, Niccol first came under consideration after Wechsler and the Schwartzes asked Meyer what her favorite science fiction films are. "Gattaca" and "The Truman Show" were in her top five; Niccol wrote and directed "Gattaca" and scripted the Peter Weir-directed "The Truman Show." Niccol most recently wrote and directed Orlando Bloom starrer "The Cross." "We wanted Stephenie to be involved in the adaptation and have her endorse and be part of the creative decisions," Wechsler said. "Twilight" has "proven she knows more about what works than most." Summit releases the second adaptation of Meyers' vampire series, "The Twilight Saga: New Moon," on Nov. 20. This has the potential to be a fantastic grown-up movie, especially with some as highly acclaimed as Andrew Niccol(I imagine he is if he penned "The Truman Show"). So I'm anxious whenever a book I like gets made into a movie, and the Host will be no exception. But it's comforting to see that not only will very talented people be working on the movie, but also that Stephenie will be involved. Location: Searching for a werewolf. I hope that the movie is good. I love The Host. I can't wait! All you need is a steak and a fishing pole and you can catch your own werewolf! Man, I wish that was true. TEAM WEREWOLVES! I run with werewolves. It's exciting to read that "The Host" may be made into a movie! 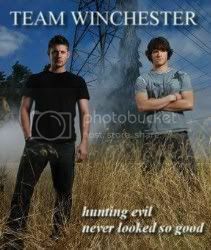 It's one of my favorite books -- after the Twilight Saga, of course. I'm not familiar with Andrew Niccol but if Stephenie's satisfied, so am I! The only thing I'm worried about: if Stephenie is as involved with this new movie project (as she should be!) will she have any time to write any more books!!! I am so excited and scared they will mess it up but still excited. Did I mention I'm excited? I do have this... weird illogical fear, though. I worry that the fanbase will blow up and it will become a huge blockbuster like Twilight has, and that... that it won't be the same, as a fandom. It'll go from small, intimate and intellectual to... popular. Isn't that so silly of me? Because, of course it will be the same book, with the same characters, and the same amazing plot and emotions. And I want it to do well. I'm glad Twilight did, because I love being able to share my interest in it with so many new people now. I am just scared that things will be so entirely different when the movie gets made. Oh-Marvelous-Things wrote: I am so excited and scared they will mess it up but still excited. Did I mention I'm excited? I feel the same way. It's wonderful to have a book you love recognized for its amazingness, but at the same time when 12-year-old girls really only care because of the actors, it's sickening to be honest. But since the Host is an adult book, and quite frankly I don't think that an average teeny-bopper 12-year-old would be able to digest it and like it, I think that the movie and book will be taken much more seriously and appreciated.